98" 84" 65" 55" 42"
Volanti&apos;s modern, large screen monitors provide ultra high 4K resolution and superior brightness for the best quality image available. Perfect for digital signage installations. With today&apos;s retail landscape dominated by digital display advertisements, reliable, high-quality content can significantly boost visitor engagement. 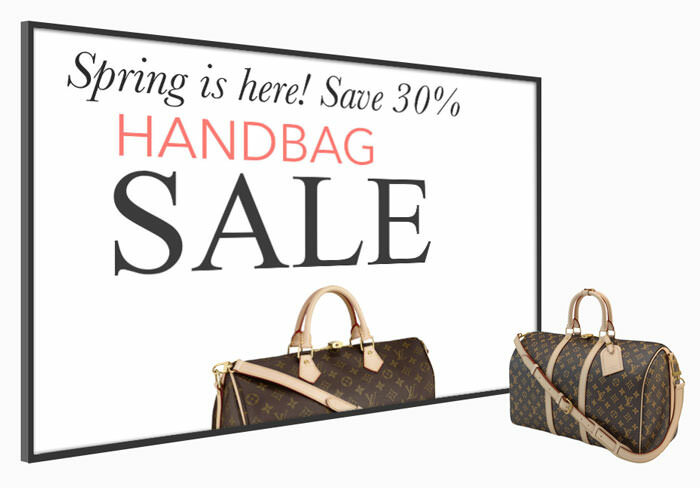 Effective digital signage not only increases branding impact, but also creates a lasting impression. Enhance brand equity with stunning imagery. 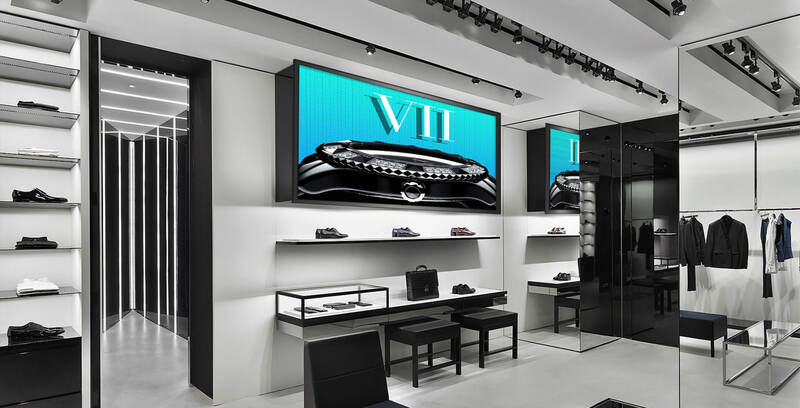 With displays up to 98" locations such as retail, corporate and hospitality feel more vibrant and modern. Volanti&apos;s monitors are ideally suited to digital signage installations. Volanti also offers its Large Displays in multi-touch versions. Perfect for presentations, corporate meetings and training applications. See the Touch Displays page for details. Compatibility Windows 7/8/10, Linux, Android versions with native support for USB HID multi-touch. No drivers needed. Windows 7/8/10, Linux, Android versions with native support for USB HID multi-touch. No drivers needed. Compatibility Windows 7/8/10, Linux, Android versions with native support for USB HID multi-touch. No drivers needed. Windows 7/8/10, Linux, Android versions with native support for USB HID multi-touch. No drivers needed. Windows 7/8/10, Linux, Android versions with native support for USB HID multi-touch. No drivers needed.